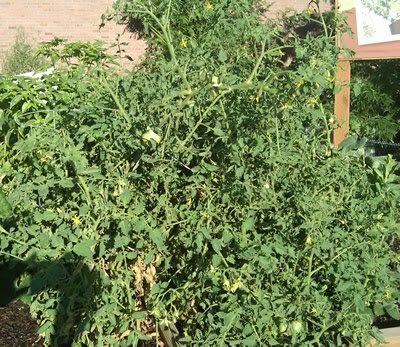 The tomato plants in the community garden have been "weird" this summer. They have had curly leaves ---- and now my huge plant (that has been leaning for over a month) has lots of green tomatoes for the past week. I hope they start turning red soon!